End Fuel Poverty Coalition – for energy efficient homes, decent incomes and low cost fuel for low income households. The End Fuel Poverty Coalition is a broad coalition of anti-poverty, environmental, health, trade union and consumer organisations working to eradicate fuel poverty. 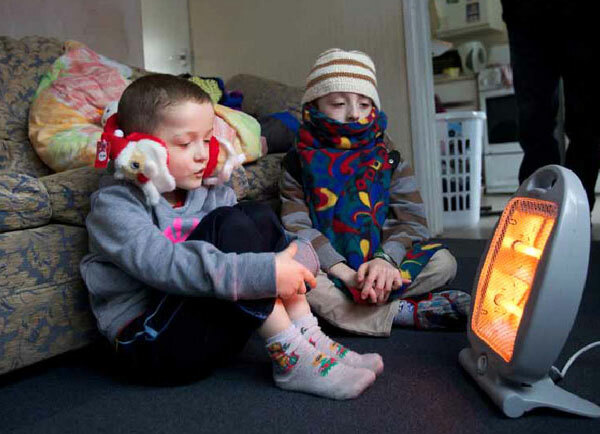 We believe that everybody has the right to a warm, dry home that they can afford to heat and power. However, in England today there are 2.55million households living in fuel poverty. Simply, this means that more than one in ten of all households are pushed into poverty because of the costs of meeting their basic need to keep warm. Millions of people cannot afford to heat and power their homes. Millions are suffering ill-health, stress and anxiety from unaffordable fuel bills, reduced educational attainment and social isolation as a result. This is avoidable. The End Fuel Poverty Coalition campaigns to influence government and other bodies to take action to end fuel poverty and thereby improve people’s health and quality of life as well as seeking to reduce the cost of living, create jobs and negate carbon emissions in the process. You can find out more about fuel poverty, our aims and helpful sources of guidance on this site.